Getting back from vacation is never easy, especially when it involves long hours of emptying the mind and doing nothing more than enjoying the calming sea view, chatting with the spouse and losing myself in the pages of a favorite novel. A few days there felt like ages but flew by like seconds. Now, back on my home office, that I've missed so much, I'm finding that each moment that passes by carries a spike of inspiration, greater than before, an energy that needs a minute or two to start flowing but, when it does, god, it feels like a wild river hasting its way from the highest of mountains. The sea and the silence were more than enough to recharge the batteries and return to a mac filled with new inspiration, ideas and a dire need of creation. I have new things on the way for, my friends, that you're about to meet in due time and I can't wait to show you. While drifting away at the calmness of the southern sea I got to realise, now more than ever, how important this blog is to me; how important you are to me. And, how, in a new contemporary way of thinking, I feel that we are close friends, that we have a lot in common, our interest, our style, our definition of having a good time and our desire to be surrounded by beauty. 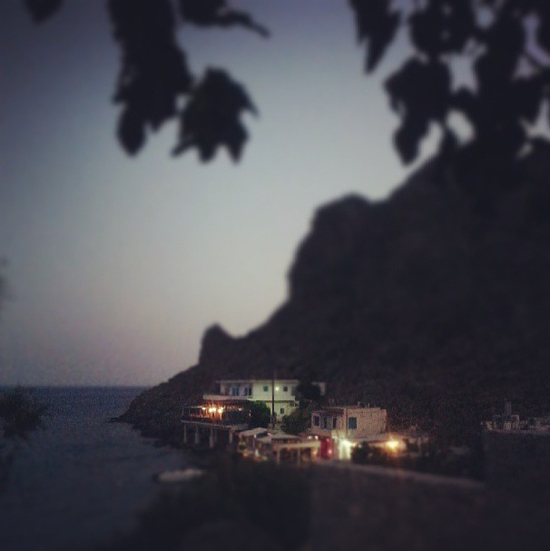 *The photos are from Lentas village, a really petite coastal village located in southern Crete, where I spent these few days of my summer vacation. The last one is from my instagram. 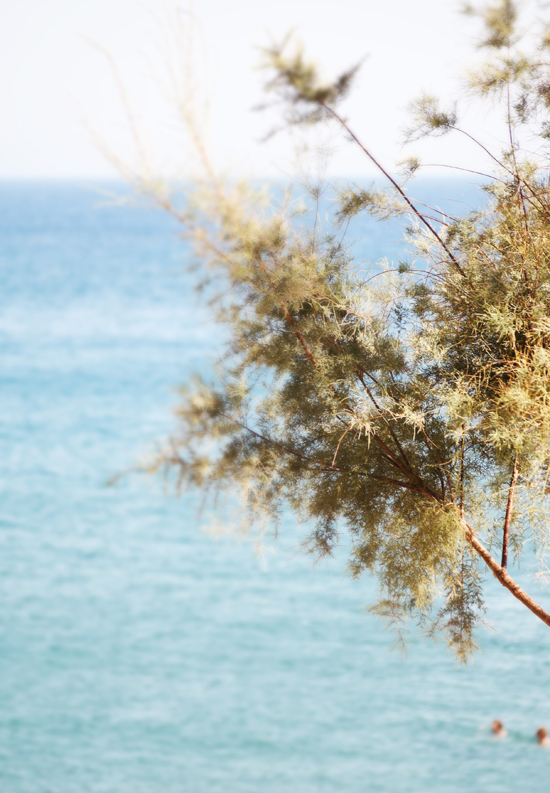 5 comments on "Post vacation thoughts"
I think vacations are perfect for fuelling the creative fire and filling one with inspiration so no surprise that you are feeling so inspired, Eleni! 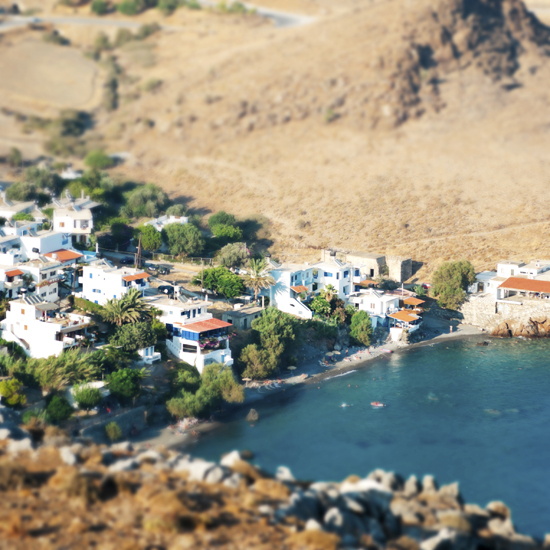 Well, especially not having seen where you were - that second tilt shift shot of Lentas village is SO good. Ειναι φυσικο να επιστρεφουμε απο τις διακοπες μας με περισσοτερη ορεξη και εμπνευση αφου εστω και για λιγο ξεφευγουμε απο τα συνηθισμενα, διωχνουμε την ρουτινα και φορτιζουμε μπαταριες... Φιλια! It sounds like you enjoyed some wonderful days off and are now ready for anything! Wouldn't mind visiting Lentas village myself one day. I´m sure you know you live in Paradise (of course, you created My Paradissi). You ´re a lucky girl and of course I will stay tuned, I come here everyday just to dream a little.